Thirty-nine years ago a California law put flame retardants into virtually every piece of upholstered furniture sold in the country. 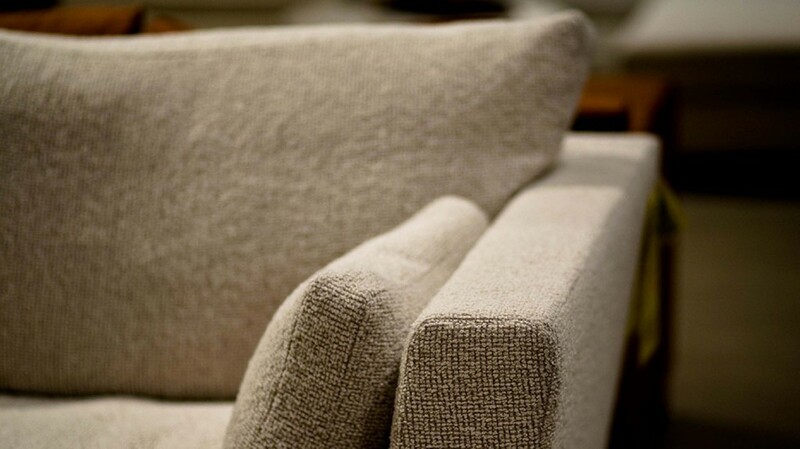 By one estimate, an average sofa contains two pounds of flame retardant chemicals injected into its foam cushions. In retrospect, that decision struck many as unwise, especially when environmental health researchers began discovering that the chemicals were leaving the sofas and turning up in peoples’ bodies, especially young children. Studies done on rats suggest links between certain flame retardant chemicals and cancer and fertility problems, although those links are hard to confirm. Meanwhile, fire safety researchers and fire fighters have questioned whether flame retardant chemicals actually prevent house fires. Now, California is reversing its policy. Two new rules – one taking effect in January, another awaiting Governor Browns’s signature – all but guarantee that the chemicals are going to be a lot less ubiquitous in coming years. To be clear, Brown hasn’t outlawed the chemicals. Instead (without getting into the weeds here), the new rules, which take effect in January, mean that furniture makers aren’t required to use the chemicals anymore. Is flame-retardant free furniture widely available yet? In lieu of labels, how can consumers know? SB 1019, the bill awaiting signature, would require that any products that do contain the chemicals will be labeled. If passed, that law would take effect in January as well. So where does this leave us? Is flame-retardant free furniture widely available yet? And – in lieu of labels -- how can consumers know? For answers, I called Charles Margulis with the Oakland-based nonprofit Center for Environmental Health. KQED: If I went to buy a sofa right now, what are the chances I’d find something that is flame-retardant free? Margulis: Most of the companies are telling us that, yes, they already have some [flame-retardant free] items on stock. They do still have some older items on the floor as well, but by the end of this year or early next, they say almost everything they sell will be flame-retardant free. We've had lengthy discussions with these companies to see which are in transition, which are already offering flame-retardant free products, and which will soon be offering products made without those flame retardant chemicals. Those lists are up on our website. If you can hold off for a few months, hold off and buy your furniture early next year. Then you’ll have a much better chance, I think. The new law doesn't outlaw flame retardants in furniture. It just says manufacturers are no longer required to use them. Is there a way to tell by looking at a sofa or armchair whether it contains flame retardants? The great thing about SB 1019 is that [if it’s signed into law] there will be a label. So you will know and you will be sure. Until then, we’ve put together some guidelines: one for office furniture; and two consumers’ lists, one for home products, the other for baby products. Note: Furniture with a tag that says “TB117-2013” is less-likely, though not guaranteed (read on!) to have flame-retardant chemicals. Governor Brown issued his new policy last November. Why are we seeing any flame retardants in furniture at all? Well, there was a transition period in that law. Companies were permitted to make their products to the new [flame-retardant free] standard by the first of January, 2014. But they weren’t required to meet the new standard until January 1 of 2015. So they gave the companies a one-year transition period. The other thing about that law is that it doesn’t require companies to get rid of flame retardant chemicals. It simply says that for the first time in many decades, you can meet the standard without flame retardant chemicals. And that’s a big change, but not every company is going to make that change right away. They are legally allowed to use them. SB 1019 gives consumers the only way to know when they go to the store, what has flame retardants and what doesn’t. Will SB 1019 cover all products? SB 1019, the labeling disclosure law, is for furniture only. What about children’s products like strollers and changing pads. Are those manufacturers phasing out the use of flame retardants? I think children’s and baby products are a little ahead of the game because they knew in late 2013 that they would be exempted from the standard. So there should be more baby products on the market that don’t contain flame retardant chemicals. Note: Governor Brown’s new regulations exempted 17 baby and children’s products -- including changing pads, infant swings and strollers -- from the flammability standards altogether. So those manufacturers have no obligation to use flame retardant chemicals. For a complete list, see this PDF, pg. 13. Once the new laws take effect, is CEH going to be testing furniture, to see whether manufacturers are labeling correctly? We intend to stay on top of this and keep testing throughout next year.